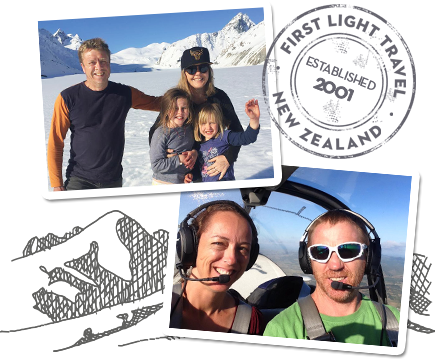 Since 2001 we’ve been helping visitors plan their dream New Zealand vacations. Allow us the privilege of creating your very own customised New Zealand tour itinerary, it begins by you filling out our enquiry form. We pride ourselves on being able to offer unique New Zealand self drive tours and privately guided tours tailored to your interests. We also have a exciting selection of hassle free, all-inclusive Group Tours. Experience a New Zealand self drive holiday, that not only surpasses your expectations but eliminates all of the guesswork. Even better, this itinerary planning service is absolutely free when you book with us. Our hassle-free New Zealand coach tours are a relaxing way to take in the full beauty of New Zealand. Everything is taken care of including pre-booked accommodation, sightseeing activities, the comfort of a luxury coach and the friendly services of our team. The benefits of a small group tour are more leisure time, a flexible itinerary, and unique dining and travel experiences. Small group tours allow you to venture on alternative routes to the large coach tours. Our carefully selected hiking tours give you access to the most exciting volcanic and coastal regions in our National Parks and Reserves. For those wanting an authentic experience of pure and pristine wilderness. Small group adventure tours cater to our clients who want to explore New Zealand’s most beautiful wilderness areas and who have a real passion for actively experiencing ‘The Great Outdoors’. Enjoy flexibility and privacy when touring New Zealand in the capable hands of our exceptional local guides. We use the best operators to enhance your travelling experience, in areas of our country that the larger group coach tours can't go. Planning your New Zealand holiday around the many Lord of the Rings movie locations will give you an excellent starting point for your itinerary, incorporating a fantastic mix of all that New Zealand has to offer. Complete our Enquiry Form and within 24 hours you will receive the first cut of your customised Self Drive New Zealand Holiday Itinerary from your own personal travel consultant. Your consultant will then work with you to refine your itinerary so that it meets your needs perfectly. We are the only New Zealand travel agency with Enigma, a powerful system storing over 20,000 hand picked New Zealand products & tours. With the expertise of our travel specialists, you’ll find just what you’re looking for in a New Zealand Holiday. 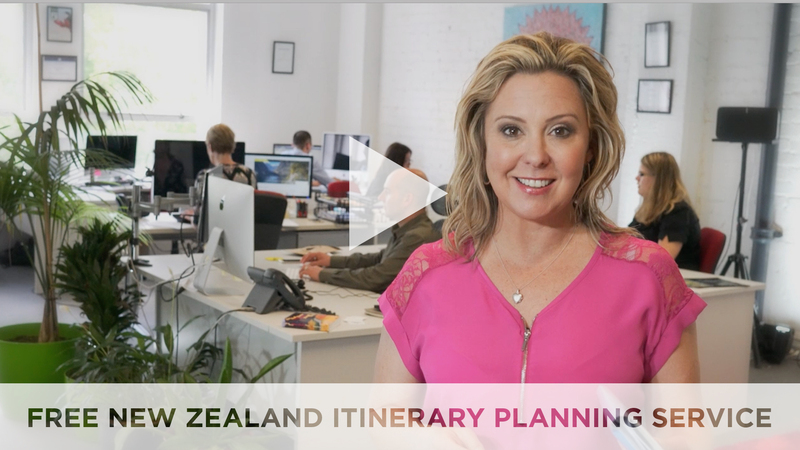 Work with your own personal Kiwi Travel Specialist, from start to finish. Benefit from their local knowledge and expertise so you get exactly what you are looking for in a New Zealand Self Drive Itinerary or Private Tour. Don't forget our service is COMPLETELY FREE. So your holiday wouldn't cost you any more than if you booked everything yourself. I highly recommend Toni Harris at First Light Travel! The most pleasant person to work with! Thankyou trip was fantastic exceeded our expectations. Service on every level. By phone, email, text, messenger, etc. Very responsive to our every need. They understood our likes, dislikes, travel style, how to get the most out of every encounter on the trip and planning the trip. We were there when the road South of Franz Joseph was closed due to the bridge collapse after a very heavy extreme rain. When it was evident that the bridge would not be repaired Jo jumped into making new arrangements for motels and activities and was able to salvage the trans alpine train trip, book us lodging in Greymouth and get us great lodging in Tekapo. Every excursion was amazing and all were booked with small tour groups for intimacy and quality and were all top notch and I would recommend every one unreservedly. Thank you Jo at First Light Travel for giving us a trip of a lifetime! Thanks to Jo from First Light we had an amazing NZ trip. We are so thankful. Amazing holiday in New Zealand thanks to First Light Travel's tailored itinerary and organisation of activities, transport and accommodation. Thanks to Michelle in particular for her timely correspondence and helping make this a trip of a lifetime.